First of all there are several MSDN Magazine articles about ANN and how to implement it in C#. If you want to know what’s behind the scene of ANN, read this fantastic online book with great animations of how neuron and neural networks work. 1. Neural Networks and Deep Learning, by Michael Nielsen. There is a series you tube video about ANN. 1. AForge.NET. – Computer Vision, Artificial Intelligence, Robotics. 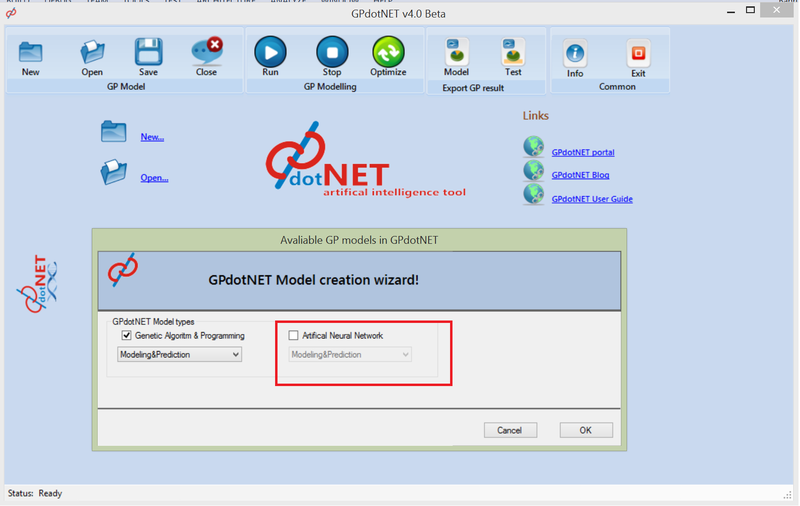 The first GPdotNET v4.0 beta will be out very soon.